I know we are all enjoying a week (or two) of extra indulging, and that is A-okay. If you're feeling a little overwhelmed about making good choices amidst all of the temptations and gatherings please check out my pre-Thanksgiving post about enjoying the holidays. (I think you will be surprised at my suggestions). I had planned to address part 2 of my "what to eat and when to eat it" series this week...but I decided to take a brief hiatus for the holiday season. Instead, I want to share some quick tips that I hope come in handy over the next two weeks. Around the holidays I spend a lot of time catching up with friends and family. Staying connected with the people you love is so important, but it often means eating out or meeting for drinks. Amidst holidays parties and big family gatherings all of these additional outings can feel a bit overwhelming. It can be difficult, and even frustrating, to manage your social plans while sticking to your health goals. Here are some tips for planning (and enjoying) your time with friends and family. 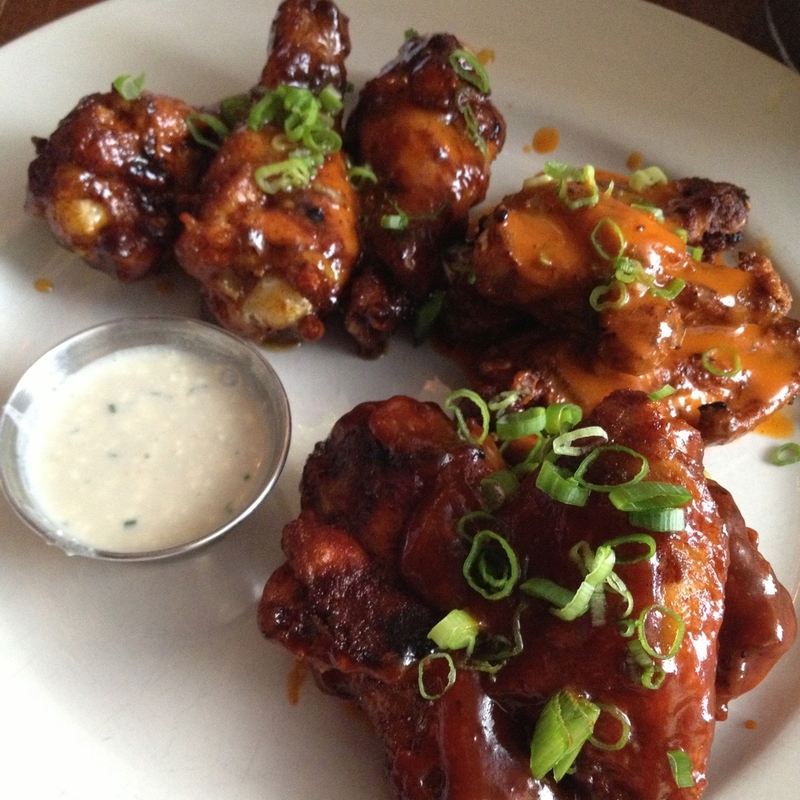 wings are my go-to "app for dinner" choice. feels indulgent without the carb crash! Skip the drinks. Instead, meet at a local coffee shop for a delicious cappuccino or tea. If drinks are a must, stick to just one. If you need to have more make sure you skip the sugary alcoholic beverages (margarita, sangria). Choose wine or vodka soda instead. Tip: have one full glass of water for each drink. Choose an appetizer OR a delicious side (french fries, anyone? ), not both. Skip dessert. There are so many delicious sweet treats going around this time of year that are far more delicious than anything you will get in a restaurant. Get an appetizer for your meal. Saves money and the portion will satisfy you without stuffing you. If you are going to happy hour, eat real food before you go. Tip: Leafy greens are good for your liver and give you nutrients to help you process alcohol. My favorite: meet for breakfast! This is my favorite way to catch up! There are endless real food options (hash browns, eggs, fruit, cottage cheese). Plus, you can sit there as long as you like and get free coffee refills! going out to breakfast is my favorite way to catch up with friends! Have fun. Remind yourself not to stress out. Enjoy the quality time you are getting with those that you love. Newer PostIs it bad to eat after 8pm? Older Postwhat to eat and when to eat it.